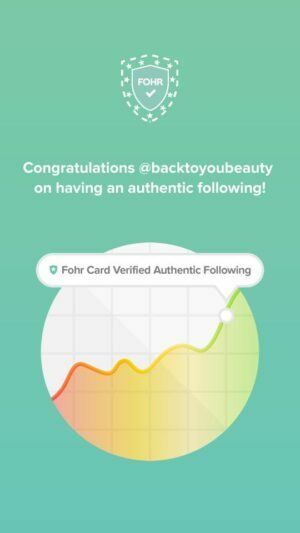 NEW LAUNCH! 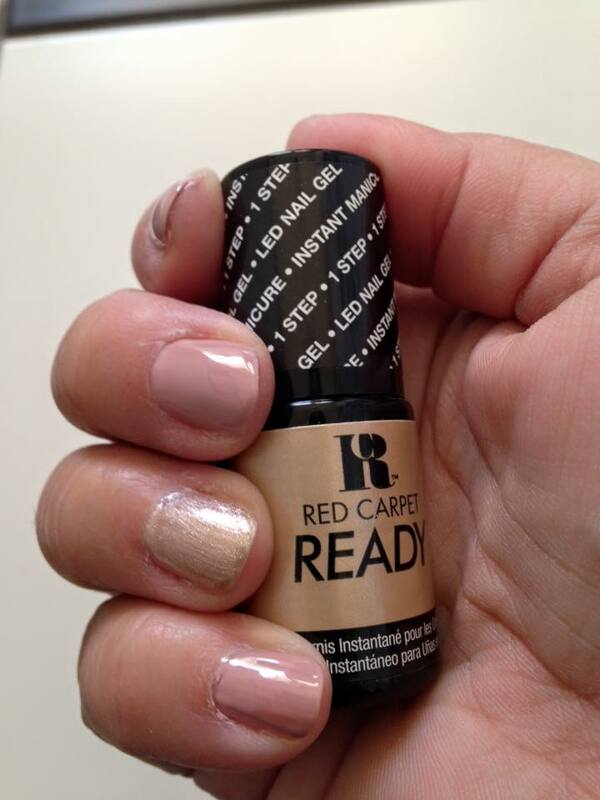 – Red Carpet Ready With Red Carpet Manicure Instant Gel Manicure – Super Fast System! I love Nail Varnishes, I really do. 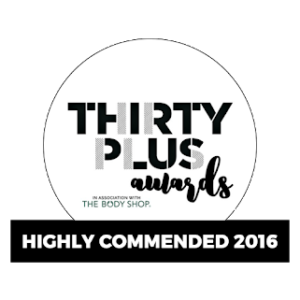 I have loads…loads and loads, they really are the easiest, convenient way to change an outfit. I know i do not have the best hands and nails though, having Children means lots and lots of hand washing. I know i should look after them more, but a pop of colour really brightens my day. I never go to a salon for a manicure I’m just not that kind of person. Like many i have commitments and its not easy to find that time during the day to commit to going to a salon regularly. I don’t really enjoy it either to be honest, there is always something else i could/should be doing. I even have to be dragged to the hairdressers kicking and screaming. Whenever there is a fast way to pamper myself at home, I’m in. 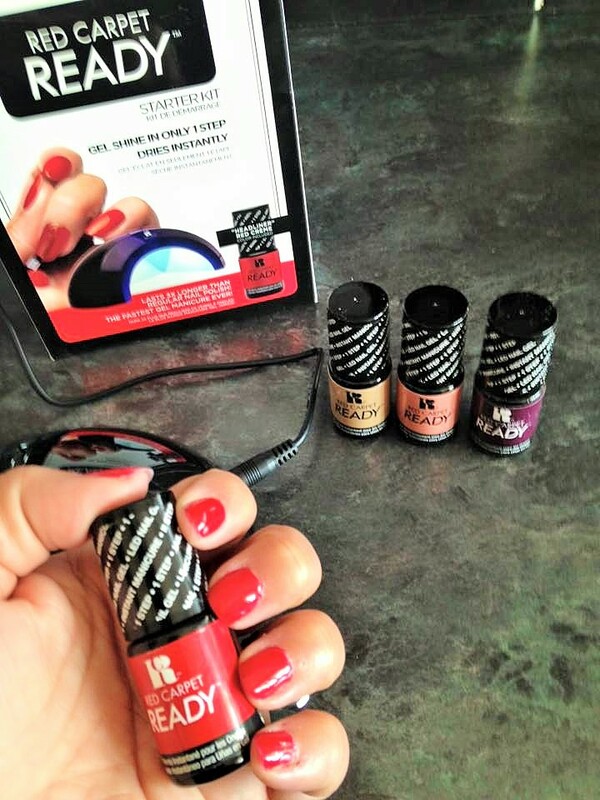 Red Carpet Manicure is the worlds first at home Gel Manicure system. 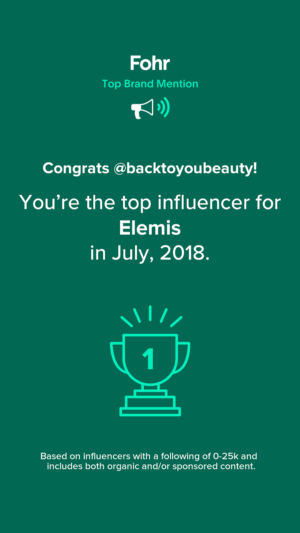 This new 1 step system is so super quick and super easy it had my name written all over it! Promising to cure each layer within 45 seconds, and give me a high performance, salon looking Gel manicure. I could not wait to get started. This is just so easy to use. 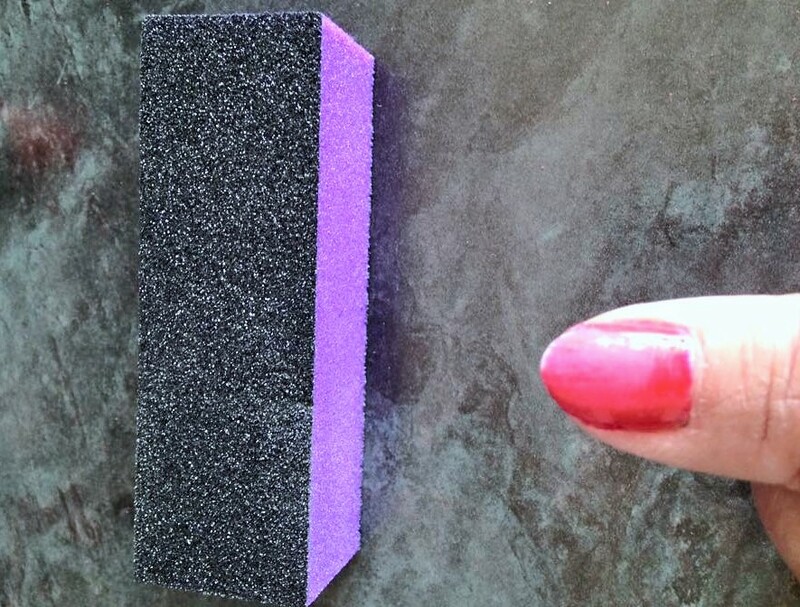 Included in the box is everything you need to apply, cure and remove Gel polish. 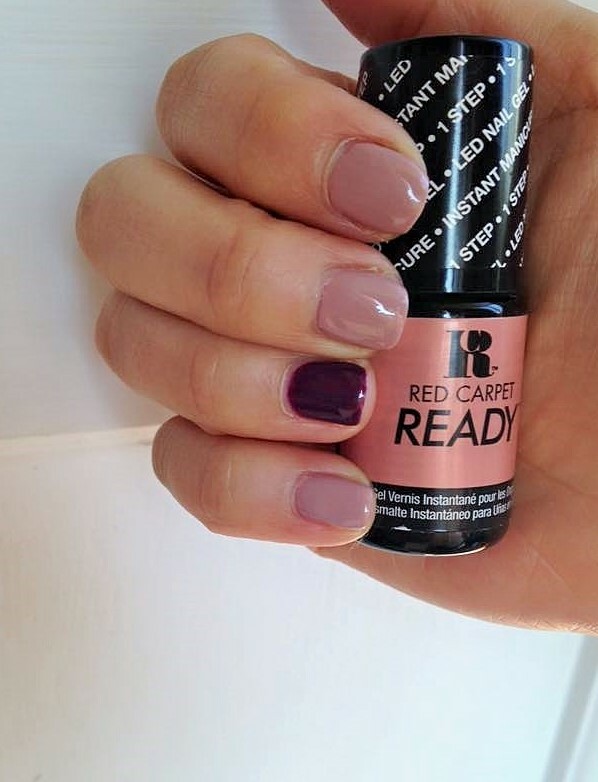 Instant Nail Gel Polish Colour – in “Headliner” which is a stunning Hollywood Red, Perfect for the Christmas season. This was my first ever attempt at applying my own Gel Polish and curing them and it was so easy and took minutes. This needs NO Base coat and NO Top coat and it shines beautifully after. Made sure my nails were clean and dry. I buffed them gently with the purple side of the buffer included, gently pushed back the cuticles with the Orange wood sticks included and wiped nails with Polish remover. This made sure they were perfectly clean and prepared. I carefully – and i say carefully – as any polish that gets on your skin will be cured there, so carefully i applied 1 coat of Red Carpet Gel Manicure to my finger nails. I popped 4 fingers under the LED light, curing them, this took 45 seconds. Very impressive, no waving, no blowing them, no painting them in bed then waking up with bed sheet imprints on them…. done in MINUTES!! There are three other beautiful colours being released for this one step manicure, and they are gorgeous. Now, although these do not last as long as other varnish for this system, the fact that you can paint and go within 5 minutes, and have high quality glossy nails is perfect. Especially good if, like me, you change your varnish often. Again as with the whole kit it really is simple, however you will need to allow yourself plenty of time for this so set aside a good 45 minutes to complete the whole removal process, with time this will speed up however the Erase remover does need to stay on the nails for 15-20 minutes for proper removal. 3. 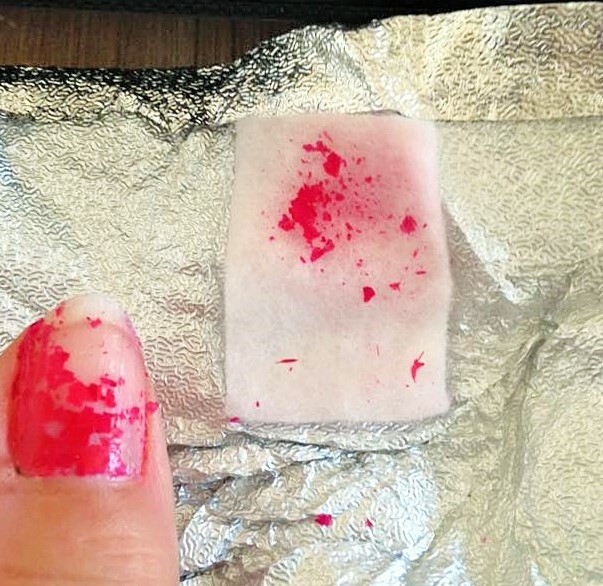 Place the pad on the nail and wrap the foil around the finger, making sure the whole nail is in contact with that pad. 5. Ever so gently using the Orange wood stick remove the remaining Polish,(which to be honest was all loose) being careful not to scrape the nail. This should lift off easily. 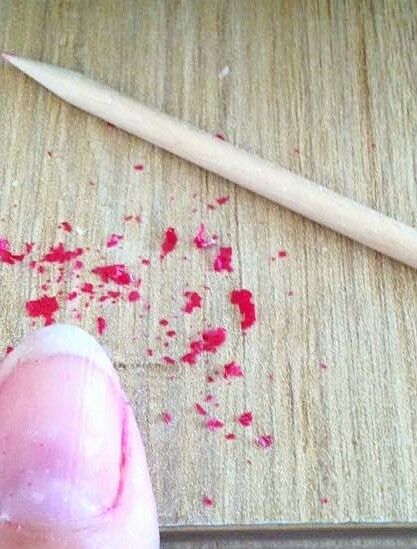 If for any reason you are met with resistance, rather than ruin your nail, repeat step 4. That is it! I applied my own cutical oil and nail care after, you do not need to, its just something i am in the habit of doing as i always wear nail polish so my nails can discolour a little. 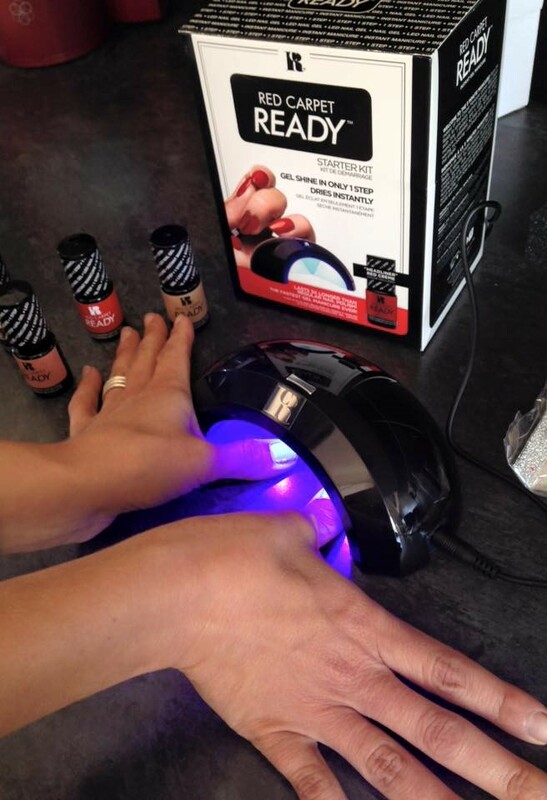 This really is a fantastic, fast Gel Manicure system, you really can be out the door in 5 minutes. 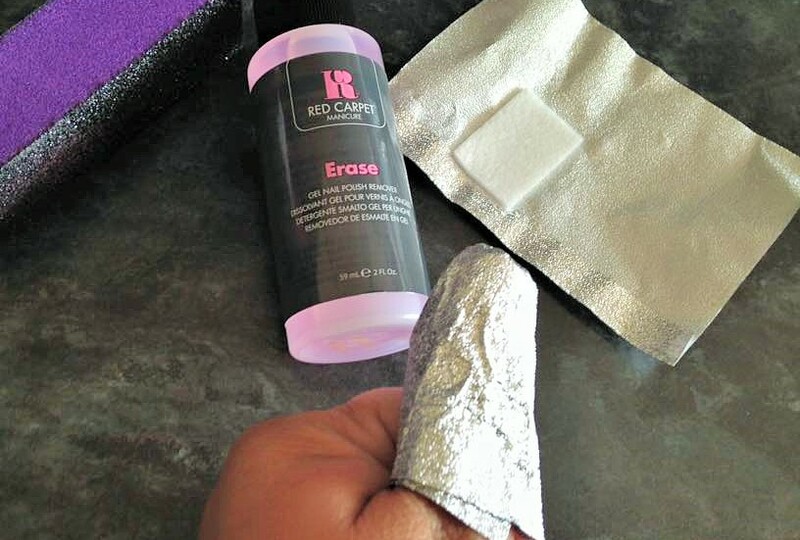 Please leave me a comment below, have you tried Red Carpet Manicure? 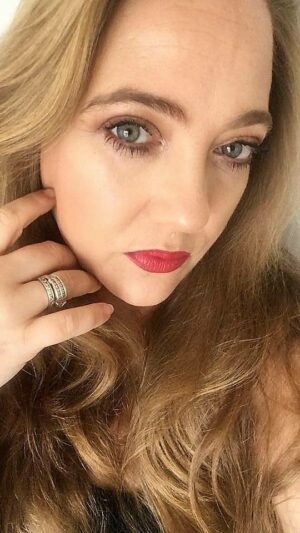 "Tarte High-Performance Naturals – Qvc UK TSV THE Christmas MakeUpMustHave"
"Philosophy Pure Grace & Amazing Grace In Love With Grace collection -Qvc Uk October 2015 TSV"
Love this system too! Even better M&S do the range but not the ready ones at moment. I have bought the Leighton Denny gel that you can use with any varnish. 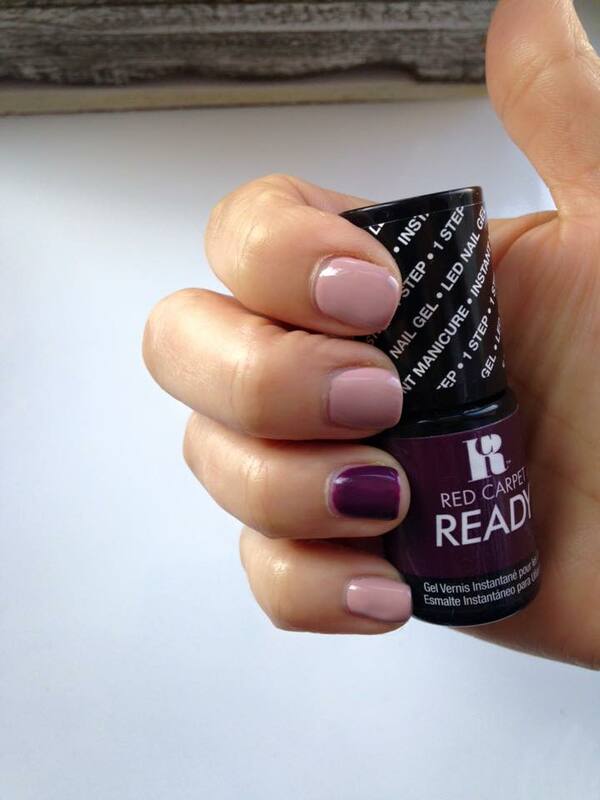 Not tried yet but you do have to leave the normal polish to dry for half an hour first!